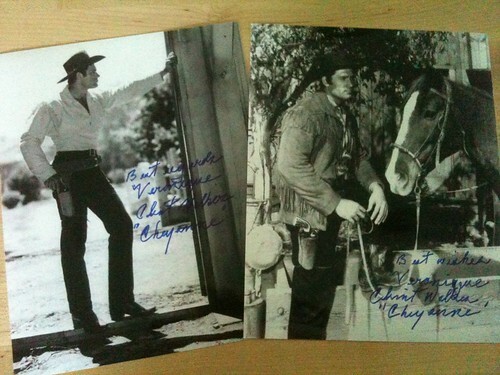 When I first moved into Casa Mulholland, my neighbor told me that Clint Walker, the manly man who played Cheyenne back when cowboys ruled the TV landscape, was the original owner of my house. 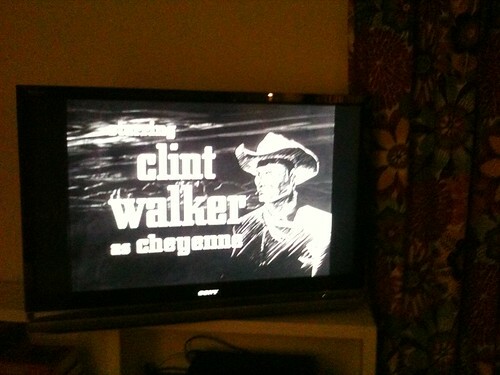 Not quite as cool as Otis Chandler owning my place in Paradise Cove but, even though I had never seen Cheyenne and didn't know who Clint Walker was, still interesting. When I told a friend about it, she knew exactly who Clint Walker was and loved the idea so much, she wrote to him and voila, a bit of Mr. Walker is back in his Santa Monica Moutains neighborhood.